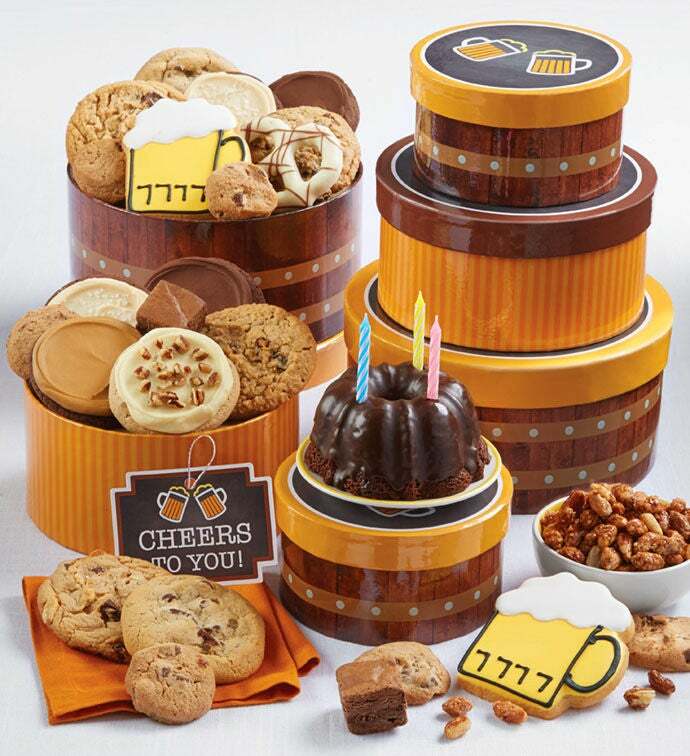 The perfect assortment of goodies will make this gift one that will be remembered! We've included a delicious assortment of cookies, a mini chocolate birthday cake and candles, honey roasted peanuts, snack size cookies and brownies, a gourmet decorated pretzel and sweet hand decorated crunchy sugar cookies. 25 pieces.